Work for IBM Commerce Insights? Learning about IBM Commerce Insights? The interface is great. Very user friendly, and easy to show others. Integrates well with other applications. I also have recommended this platform to many people in industries such as sales, fundraising, recruiting, or anything else which is externally oriented, dealing with people, clients, or constituents. I dislike the fact that I have to sometimes lookup how to use certain functions is a little annoying. Other than that, no dislikes. I also dislike that customer service doesn't quickly direct me to the answers I'm looking for. If that were the case, I feel it would take this to the next level. Keep up the great work. IBM has shown us and other users alike that they are concerned with putting out the best applications in order to meet the business demands in many different sectors. That is the key factor which takes a good application to a great one. Not to mention, IBM has been at the forefront of cutting edge technology since computers started to be a domestic presence. Better outbound sales calls and results. Better customer interactions. Better customer service overall. We are also solving new problems we didn't know we would have. Such as how to see better prospects regarding what we are looking for from them. To ask for more money, we have to make sure we are visiting the correct people, asking for the correct amount of money, and stewarding them correctly. As such it allows traders the flexibility to streamline data and business analysis with a combined view. If you want to average results, this online tool will provide commercial metrics for making vital decisions for the business, it allows you to configure the users, and the roles that influence each one of them. With Watson Commerce, the companies can see the real data and thus be able to compare them, you can download the information in a spreadsheet. It unleashes the power of AI in eCommerce and allows merchandisers to analyse and fully understand their business. It is user friendly and easy to use even for first time users. Offers great analytics. Some feature could be really hard to implement. Other than that, I feel that IBM Commerce Insights is flawless. Definitely a great tool to have for those who intend to increase efficiency in their merchandising operations. Allowed us to streamline customer experience. The capability to go beyond the descriptive analytics, it really everages the outcome of the analysis. "IBM great program!!! Extremely helpful in the consulting world. " There was some lagging at times, it could use a more user friendly interface. For new users it can be difficult to navigate. "love the concept but not completely in tune with retail sites and navigation"
The concept of having an assistant who can digest the analytics data and provide the resulting recommendations and action items to business users in an actionable form is great. The fact that it does not cater to site navigation that is based on search . Most of the WCS sites leverage search and search rule based navigation and not categories that are directly merchandised by users manually. Insights for search driven merchandising would be great. Takes away the manual grunt of the day to day merchandising aspects from the Business users,. Provides consolidated and actionable data to merchandisers. "IBM Has Done It Again "
Limitations due to customization. Wish a few more features were added. Watch tutorial videos. Call in to speak with their experts so you are maximizing the results / capabilities. Simplifying the tracking from one dashboard. Ability to track several products / campaigns. Commerce Insights gives our merchandisers the ability to see all the relevant data in one interface and make decisions in real-time to react to changing business conditions and KPIs. Technically, there are some challenges to the integration with Watson Commerce. Increased efficiency for merchandisers. Increased conversion by presenting customers with relevant products earlier in their journey. "Couldn’t think of a better tool "
I love that I am able to Identifiy trends and alerts. From an analytical perspective this is helpful identifying consumer behavior. I wish I could think of an area of improvement. I guess ideally I would like to know the history and time of when the consuming was browsing/purchasing. This would allow me to understand when buying habits were more frequent. THere are so many different functions that can be used to help the merchandising functions to be optimal for businesses and consumers. To initially set up it is somewhat of a hassle. "Helpful too keep up to date"
It is easy to navigate the website and helps the older people in our office keep up to date. It is sometimes slow but that could be an issue on our end. It helps keep everything organized, saves paper, and helps us help our guests much faster and efficiently. 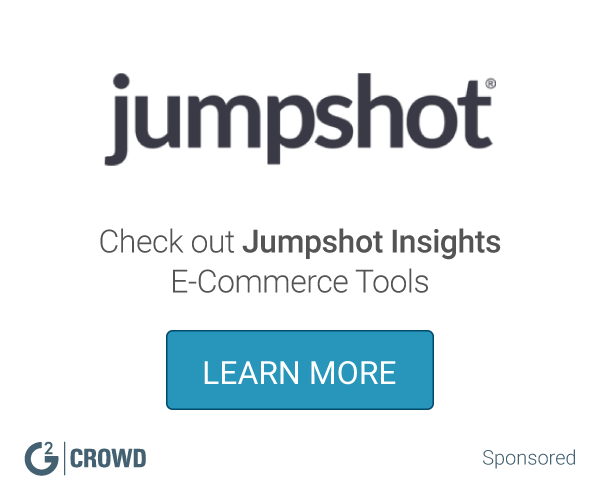 "The power of AI in commerce"
With a small ecommerce team manages multiple regional websites Commerce INsights really helps us achieve a merchandising strategy for our online store. The ease in its sequencing and use allows for our team members to focus on the product strategy and less the day to day work sequencing "best sellers" for instance to the best positions on the webpages. I love that it targets all this data and shares it to you so that you can target customers or target certain people to your online mission. Ultimately the price was what drove my bosses away and decided to go to Sdobe analytics instead. It gives you valuable information on the fly. Allowing you to target customers for sales and gives you the information necessary to make a good connection and valuable transaction. Adobe does this as well. The ability to see real-time performance data. This gives you the ability to forecast appropriately. Some challenges with the integration of the system. Determining not only appropriate merchandising but also inventory for our products. "IBM Commerce is a MUST HAVE"
I love the B2B integration on IBM Commerce. It really helps us tailor our efforts and data. The payments within the software could use some updating. Just a few tweaks to ensure more fraud protection. I would recommend attending seminars on how to maximize your understanding of the B2B modules. Our customer analytics team is really able to narrowly tailor what needs to be marketed to various audiences. "One of the bests SaaS out there"
It´s a must tool if you work on the ecommerce enviroment. This software allows you to have a lot of different programs on the same place rather than logging in to your separate third-party softwares. If i have to say something bad, I would say the price is a bit high for small business. "The power of Commerce Insights"
I like that it acts as a merchandising portal, allowing the merchandisers to quickly and easily understand their business. I wish that I could teach Watson to enable it to learn what insights are most important to our business. Improved our ability to react to trends and to be better merchandisers,. It has done this by putting all information needed to run the business in one spot. Like most IBM products, IBM CI is smart and provides great values to our business. When comparing with salesforce, IBM CI doesn't provide the best price. 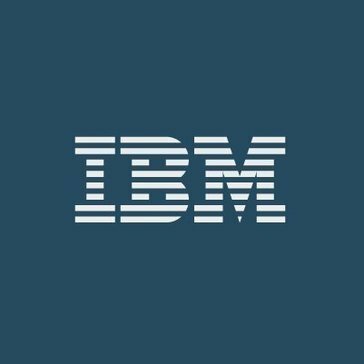 "Great experience with IBM commerce insights "
I really like the global access system that is set in place for client and the company themselves to view business data along with the troubleshooting conflicts and analytics of the business. The charge can be very costly to many companies and small businesses in the community. The fact that IBM collects all the data and analysis and compiles it easier for me to view. "Great for certain uses "
A great tool for organizing and presenting data in a way to present to clients. Not easy to use for a simple task. Requires a lot of time so only useful for more in depth tasks. Helps organize data into a way that makes it useful and easy to understand. Highly Recommended. Easy to implement. Easy to train. Easy to use. I have used it for insights for 2 years. Nothing that I dislike. Highly recommended. Easy to use and implement. E commerce is an emerging market so tools that assist are also new. * We monitor all IBM Commerce Insights reviews to prevent fraudulent reviews and keep review quality high. We do not post reviews by company employees or direct competitors. Validated reviews require the user to submit a screenshot of the product containing their user ID, in order to verify a user is an actual user of the product. Hi there! Are you looking to implement a solution like IBM Commerce Insights?